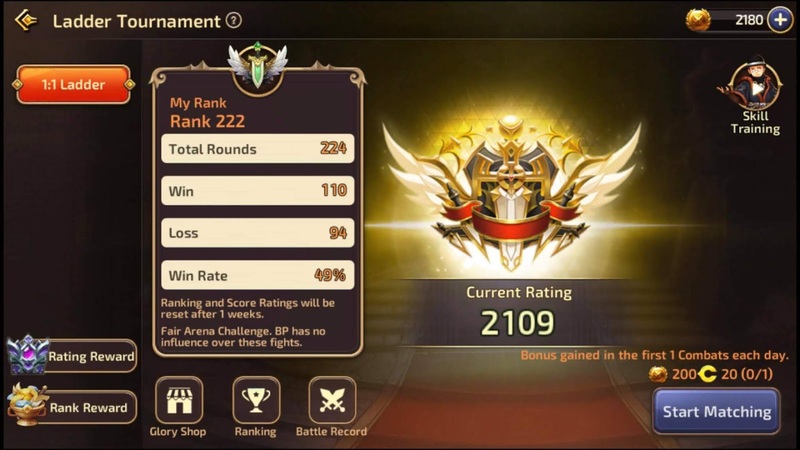 As you can see, I somehow able to manage to increased my Current Rating and at the top Rank 222. My friends saw this and they said, wow, so strong. Yes, No! Still not that strong. I can see, I'm still that week because of that I couldn't even reach up to top 100 PVP Ladder ranking. I'm a warrior class, second job as Sword Master (SM). What I noticed for sending some more of my time playing PvP, was the points of winning where more higher that losing deduction. So, if you keep on playing PvP at DN M Ladder, with a standing of Win, Lose, Win Lose, Win. Your points will still increasing and adding up way to the top. Win will be like +13 and losing will just like -9. So if you get an wining games of total of 10, then you lose for a total of 10 with the average 50% winning rate, is till got points from 1500 to 1540. All and all, you will got 40 points added to your Current Rating. As as you can see, as long as you keep on going with a Win, Lose, Win, Lose standing. You will get up to the top 100 ranked players. One sad part will be, if you did spend already a lot of time playing PvP DN M Ladder, it will be reset after a week. As of now, I still don't know what will we get after having this rank 100. It is either your just a best one, or you just get noting. Hopefully you get prices, or like costumes.